Some of the Yahoo services, including search, seem to be staying unattended lately; its “contacts” have some shaky parts as well. However, some of the Yahoo “contacts” functionality can be used for the purpose of connecting with friends across networks. Step 1. 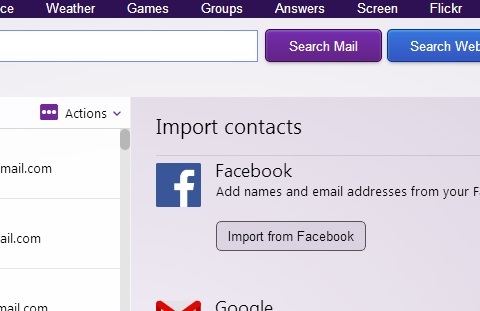 Create a new Yahoo account and choose to import your contacts from Facebook. Step 3. Now you have a list of email addresses. You can get it – meaning just the emails – in a CSV file or in a txt file by copying the contacts into an Excel table and leaving only the email addresses there (you will not need the names). The list can be imported into your gmail account and will show the names of people who are Google-Plus members as a recent post shows. Now you can include them in your circles as you wish. Of course, to be automatically identified, they need to have registered the same email address, as on Facebook, with Google-Plus. You can use the steps outlined in another recent post (for a different purpose), using the Outlook export format. From here you can invite these friends individually. If you wanted to invite several of them at a time, it seems that you should be able to use the Import and Invite function and enter the email addresses into the “Invite by individual email” box, but it doesn’t seem to be working smoothly these days. I’d be curious to hear how this works out for you. P.S. 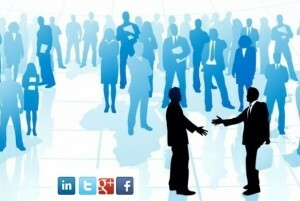 Personally, I am an “open networker” and am happy to connect on LinkedIn. I just created a new Yahoo account and am trying to import my Facebook contacts (1100+) but it’s cutting off at 50 imported contacts. Anyone else experiencing this issue?